A tribunal has dismissed veteran newsreader Laurie Mayer's claims he was sacked by the BBC for blowing the whistle on alleged bullying. 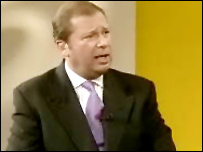 The former presenter of South East Today said he was treated badly after deciding to stand up to bullies in the Tunbridge Wells regional newsroom by reporting them to management. The 57-year-old said he had made numerous complaints to senior manager Laura Ellis about the newsroom's "atmosphere of intimidation" but nothing had been done to improve matters. But a unanimous ruling by the tribunal in Ashford found that Mayer had "not been subjected to any detriment" and a claim for unfair dismissal was also rejected. The tribunal heard how in June last year matters came to a head when Mayer stormed out of the studio just before he was due to go on air following a row with Ms Ellis over viewing figures. But senior BBC managers, who gave evidence at the tribunal, said he had been replaced because he lacked the "warm presenting style" needed for regional television. However, despite rejecting Mr Mayer's specific claims, the ruling said the broadcaster had revealed a bullying culture at the newsroom. It also said that whistle blowing was a prime reason for the BBC's decision not to renew his contract. The ruling stated: "This has been a sad case involving a much-respected broadcaster who went out on a limb to try to protect his colleagues from bullying and harassment. "As a result, he found himself without a job. "One of the more disturbing aspects of this case has been the way the BBC has sought, retrospectively, to blacken his name. "However, he did reveal ineffective management and a culture of bullying and harassment which caused discontent and suffering among the staff. "He can take comfort from the fact that, as a result of his actions, the BBC Newsroom at Tunbridge Wells is now a much happier place." A BBC spokesman said the corporation agreed with the tribunal's decision and with the view "that these were sad circumstances". "The BBC would have preferred this case not to have gone to court as we understand how stressful this can be for all involved", the spokesman added.